This has been a busy year for the LECMgt team. LECMgt wrote emergency operations and contingency plans, did threat assessments, conducted training, designed and facilitated exercises, designed wargames, spoke at conferences, volunteered in the community, and lectured in universities. We traveled from Hawaii to Spain helping our clients solve some challenging issues. Here are some of the highlights. LECMgt was asked by Penn State to evaluate a contingency planning project. The Penn State emergency management team developed a series of contingency plans. It was time to test the plans so LECMgt went to work. We conducted a preliminary site visit at University Park. Possible contingency events were evaluated and prioritized by threat. The next step was designing the exercise. LECMgt designed the game as a decision exercise for the Penn State executive management team. The game involved critical incidents occurring in a simulated seven-day period. The team used the contingency plan as the basis for their problem solving. The results were discussed in a series of after action debriefs. The custom exercise designed by LECMgt allowed the Penn State leadership to realistically evaluate their readiness. LECMgt has been a long time partner with the Center for Naval Analysis. CNA is located in Alexandria, Virginia near the Pentagon. 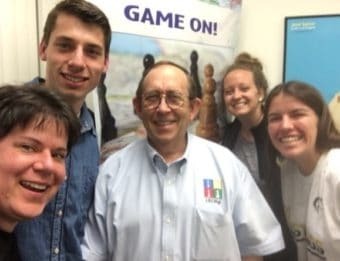 CNA, under the leadership of Dr. Peter Perla, has been at the forefront of wargame design for the Department of Defense, Federal and State agencies, and private industry. 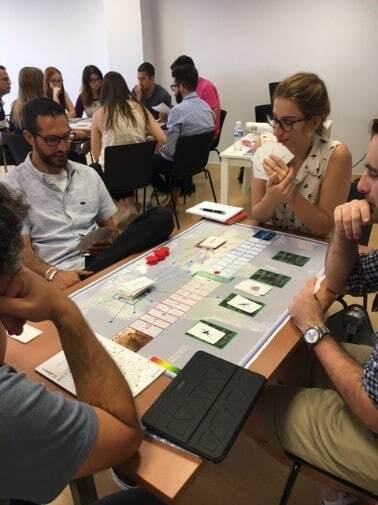 LECMgt has worked as a subcontractor for CNA designing their H5N1 Avian flu response game, a national policy game for North Africa, and an exercise for the Centers on Disease Control. Dr. Mason did a presentation on designing wargames for the new class of CNA apprentice game designers. record-breaking snowfall. Roger worked with the Incident Command Team. He recommended the use of the National Guard for assistance. The Guard responded with Army and Air National Guardsmen and heavy equipment which helped break the “snowmageddon,” LECMgt completed the Town’s new emergency operations plan. The plan was rolled out using a tabletop top exercise. This helped to acquaint the town’s executive team and public safety leadership with the new EOP. Masters University is invested in providing a safe environment for their campus community. In May the campus held a joint active shooter exercise with the Los Angeles County Sheriff’s Department. 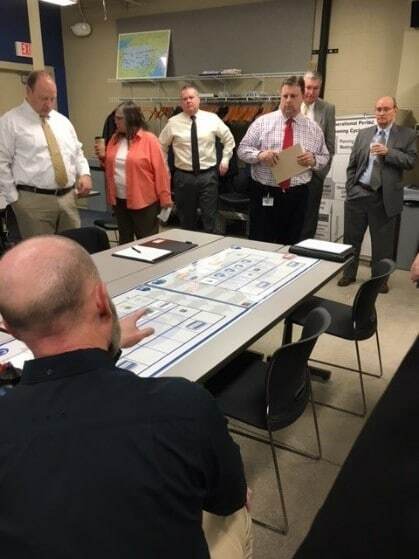 LECMgt participated in the planning and observed the exercise. LECMgt conducted the 2017 annual safety training for the campus senior leadership. The topic was crisis decision making during disasters and emergencies. In 2017 we completed several projects for the University of Hawaii. The campus new Continuity of Operations Plan (COOP) was delivered. 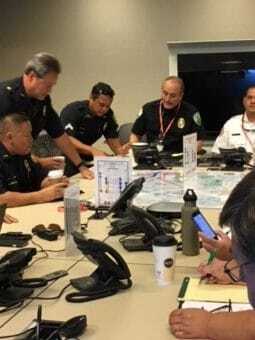 This plan is designed to help the Manoa campus community continue to provide mission-critical services during a disaster. A matrix based planning tabletop exercise was designed and facilitated by LECMgt. The purpose was to develop the scenario and planning guidelines for the 2018 Manoa full functional exercise. Participants included planners from the Honolulu Police and Fire Departments. The next step will be the operational planning needed to support a full functional exercise on the Manoa campus scheduled for May. Dr. Roger Mason serves as a visiting master for the Center for Intelligence Analysis and Democratic Systems at Juan Carlos University in Madrid, Spain. Wargaming is a basic foundational skill for the graduate students. This is the second year Roger Mason has lectured in Madrid. Each year LECMgt has designed a wargame to help teach the students about wargames and intelligence analysis. This year’s game is called the Intelligence Sovereignty Game. The players represent different European intelligence services in Europe competing to gain intelligence while cooperating to prevent a terrorist attack. 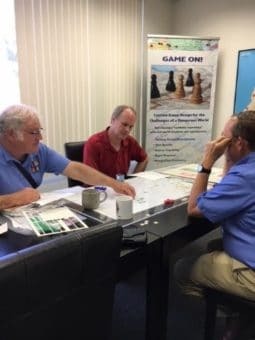 The US Connections conference is a gathering of the premier military and civilian wargame designers and experts from the Department of Defense and the commercial world. This year’s conference was at Marine Corps University and the USMC Wargame Center at Quantico, Virginia. The conference organizers asked a group of wargame experts to evaluate the conference and make recommendations for the military and commercial wargame industry. The conference evaluation group included Dr. Stephen Downes-Martin (professor emeritus US Naval War College), Dr. Peter Perla (Center for Naval Analysis), John Curry (Director of the Wargame Project and professor at Bath Spa University, UK) and Dr. Roger Mason of LECMgt. The team evaluated the various conference working groups and provided recommendations for improving next year’s conference. The 2017 conference of the Military Operations Research Society (MORS) was at the US Military Academy, West Point. MORS is the professional society for military operations research. MORS is supported by operations researchers from the military, academic, and commercial worlds. LECMgt has three MORS members: Roger Mason, Joseph Miranda, and Eric Harvey. 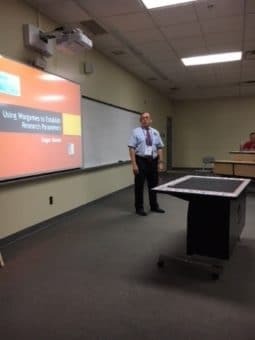 Roger Mason presented a workshop titled Using Wargames to Support Operations Research. Joseph Miranda demonstrated a prototype for a new wargame being developed by LECMgt called Third Offset War. The conference was an amazing opportunity to meet with our colleagues from the operations research world. One of the benefits of speaking at conferences is making connections people from around the world. We had the privilege of meeting Vice Air Marshall John McGarry, Royal Australian Air Force (ret). John retired from active duty early in 2017 and took on a new position as the advisor on wargaming for Australia. After attending our presentation at the MORS conference he asked if he could meet with the LECMgt team. Air Marshall McGarry stopped in Los Angeles to visit the RAND Corporation and LECMgt. We were proud to host him. We spent the day at the LECMgt offices demonstrating how we design games and exercises. We played tested a new game designed by Joseph Miranda. We are looking forward to working with Air Marshall McGarry in 2018. LECMgt is sometimes asked for help playtesting new commercial wargames and offering designs for games. Once a week we sponsor a playtest of new commercial games. We test games for Strategy and Tactics, Modern War, World at War, and other game design companies. This year we were asked for ideas for new commercial games. We are currently working on a new game which involves occupied Paris during World War Two. The first playtest was held in December with graduate students from The Master’s Seminary. Forcing ourselves to meet the rigorous demands of commercial wargame design keeps our design and exercise skills sharp. Child Care Resource Center provides a variety of child care and family support services to thousands of families across South California. In 2016 LECMgt conducted a threat assessment of their operations in Los Angeles and San Bernardino counties. The latest project involves assessing safety at CCRC’s twenty Head Start locations. 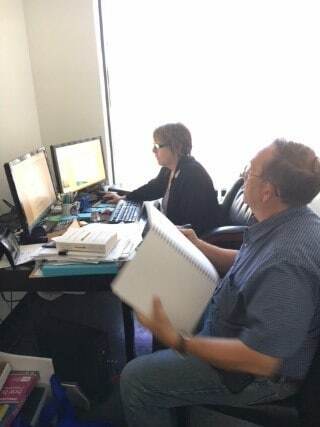 Research is an ongoing process at LECMgt. We are always reading and studying new materials within our areas of expertise. This keeps us fresh and engaged with the cutting edge of our expertise domains. Dr. Mason is currently working on several projects including writing about the history of wargaming. Joseph Miranda is one of the most prolific writers on military history and current affairs in the country. This year he published several articles about World War Two and current military affairs. Part of staying current is getting an update on the latest research techniques. Peggy Tahir, senior research librarian with the UCSF medical library, stopped by LECMgt to give us the latest in online research techniques. LECMgt stays connected with our community by volunteering with the Los Angeles Police Department. LECMgt team member Joe Zelenis has twenty-five years’ experience volunteering in a variety of assignments. Joe is assigned to a video surveillance team in the San Fernando Valley. The team monitors crime hotspots to extend the LAPD presence when uniformed patrol units are stretched thin. Joe is assisted by Roger Mason. Roger has four years volunteering with the department. We have an amazing team of people at LECMgt. Here is what they are working on. Roger represents LECMgt around the world. In 2017 he flew over 42,000 air miles from Hawaii to Spain. He will be headed back to Hawaii to help the University of Hawaii prepare for their full functional exercise. He will be providing training for three hundred CCRC Head Start staff. At the Master’s University he will be writing a new emergency operations plan and conducting critical incident training for the Master’s Safety Department. The job of the CEO never ends. Barbara supports the entire LECMgt operation ensuring we stay compliant with regulations, invoicing the clients, paying the taxes, and most importantly paying the staff. Without her leadership and support the entire organization would rapidly grind to a halt. Joseph Miranda is one of the premier commercial wargame designers in the world with over 400 wargames to his credit. He is a prolific writer and former editor of Modern War magazine. Joseph is working on our Third Offset wargame and our Paris project. Eric Harvey works as our graphic designer, map and charts expert, and game developer. His maps and charts provide a visual impact that makes our work stand out. Eric has twenty years’ experience in the commercial wargame world. He also works as a freelance wargame developer/designer and a graphic artist in Southern California. Eric is finishing the map for our new commercial game. Joe Zelenis is the LECMgt special access and functional needs expert. Joe provides expertise on SAFN issues as part of our emergency operations and contingency planning. He also stays busy volunteering with the Los Angeles Police Department. After games and exercises are designed they must be playtested. We could not do this without our playtesters. 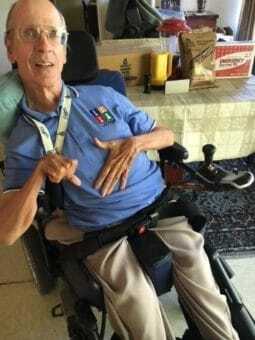 One of our regular playtesters is Mr. Joe Federico. Joe is a civil engineer by day and wargamer by night. We want to thank Dr. Lisa LaGeorge and her gaming group from The Master’s University. We also want to thank the grad students from The Master’s Seminary who did the first playtest of Streets of Shadows. LECMgt gets great support from several contractors. LTG&A provides the marketing and website support. They designed our original logo and our amazing website. Our computers and new video conferencing center are supplied by R-Tech Computers. One of the biggest changes for LECMgt will be our new video conferencing center. We hope to have the final installation of the hardware finished the first week of January. This will allow us to keep in close touch with our clients and further expand our outreach worldwide. 2017 has proven to be another year of steady growth for our business. The variety, uniqueness, and sometimes the weight of the responsibilities we’ve undertaken has left us gratified for our many customers and the communities they serve. We look ahead to the New Year with great anticipation for continued success and team building on many fronts.